Captain America: Civil War – Whose Side Are You On? As of the time this post went live, Captain America: Civil War had garnered the 5th best domestic opening ever, surpassed $200 million at the domestic box office, and posted over $700 million in worldwide ticket sales. Having seen the film twice on opening weekend, I feel confident in taking partial credit for the overwhelming success the film has already experienced, not to mention the millions the film is sure to reap as a result of my review. Just make the resulting thank you card and accompanying reward out to ‘Cash,’ Marvel. This entry was posted in Reviews and tagged Ant-Man, Anthony Mackie, Anthony Russo, Avengers, Black Panther, Black Widow, Captain America, Chadwick Boseman, Chris Evans, Daniel Bruhl, Don Cheadle, Elizabeth Olsen, Emily VanCamp, Falcon, Hawkeye, Helmut Zemo, Iron Man, Jeremy Renner, Joe Russo, Marvel, Natasha Romanoff, Paul Bettany, Paul Rudd, Robert Downey Jr., Scarlet Witch, Scarlett Johansson, Sebastian Stan, Spider-Man, Tom Holland, Vision, Winter Soldier. Bookmark the permalink. 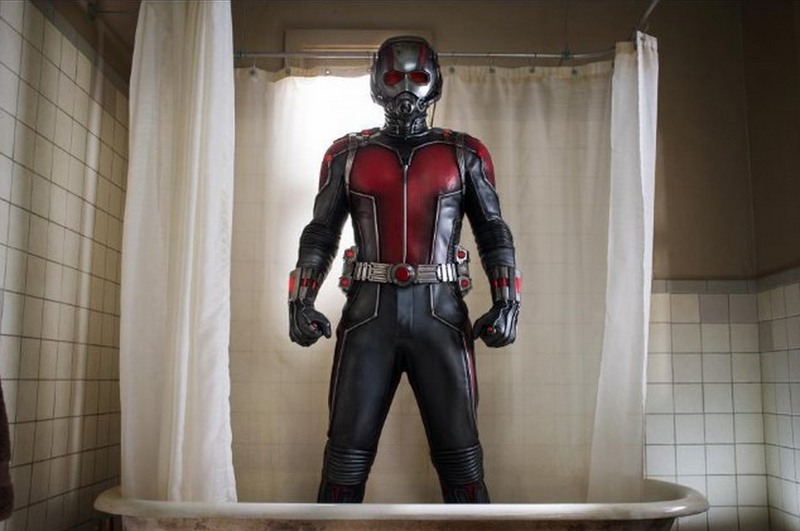 Ant-Man: Is It Too Late To Change The Name? What is this, a movie for ants? Of all the size jokes I could have made – and many have been made since the film’s release – this seemed most apropos. This entry was posted in Reviews and tagged Adam McKay, Ant-Man, Anthony Mackie, Avengers, Bobby Cannavale, Captain America, Corey Stoll, Disney, Evangeline Lilly, Haley Atwell, Hank Pym, Iron Man, John Slattery, Judy Greer, Martin Donovan, Marvel, Michael Douglas, Michael Pena, Microverse, Paul Rudd, Peyton Reed, Quantum Realm, Yellowjacket. Bookmark the permalink. Which Fictional President Would Be Most Likely to Start Nuclear War?